Much attention has been given recently to the threatened invasion of the Great Lakes by Asian carp, but the fish aren't the first invasive species to attack the lakes, and other rural areas have similar issues, David Harrison reports for Stateline.org. Some scientists claim "other invasive species already have depleted food sources in the Great Lakes so much that carp could find the waters to be inhospitable," Harrison reports, but the focus on the carp has brought new attention to the problem of invasive species at large. Behind the rhetoric from many state governments about closing canal locks and gates that connect Lake Michigan to the Mississippi River system is "the disconcerting fact that states are powerless to combat most invasive species," Harrison writes. "Fish and mollusks don’t respect state sovereignty, which makes it impossible for one state to completely seal off its waters from another. The best way to effectively control the spread of invasive species, advocates say, is for the federal government to step in." UPDATE, Aug. 2, 2010: The coalition Unlock Our Jobs responds: Shutting down the locks will have a tremendous negative effect on the regional economies and industries that depend on the waterways for shipping goods - especially the agriculture industry. Little evidence is out there to prove that it is necessary to shut the locks down. The lawsuit seems to be a classic example of politicians engaging in "leap before you look" behavior. Lock closure will absolutely devastate waterway commerce and does nothing to help the situation. Furthermore, the demands for additional barriers are completely gratuitous – plans for an additional electric barrier are already in motion. A coalition called Unlock Our Jobs has formed to work toward a common sense, comprehensive, effective, long-term solution. Regional leaders must come together in support of solutions driven by facts and science, avoiding knee-jerk reactions and political grandstanding. There is great information at http://www.unlockourjobs.org/. 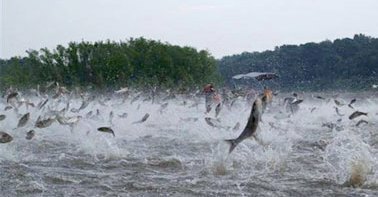 The primary goal should be to keep Asian Carp out of Lake Michigan while avoiding damaging economic decisions such as lock closure. 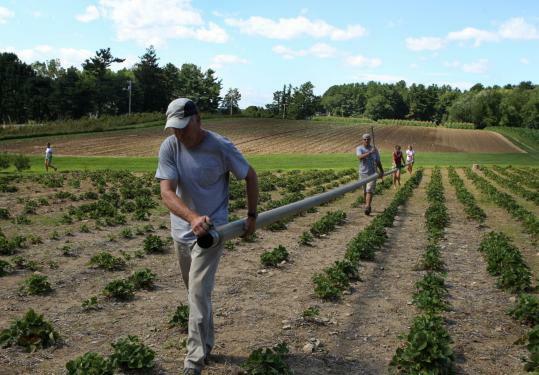 America's oldest operating family farm, which dates to 1632, has been put up for sale in Dover, N.H. Will Tuttle, 63, has decided his family's legacy will end with him, Peter Schowrm of the Boston Globe reports. "This is a different business now," Tuttle, who raises vegetables, told Schowrm. 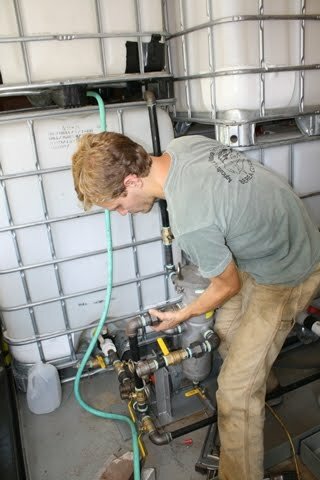 "Farming at any level is a labor of love, but now the future is so uncertain. Looking forward, I don’t see much opportunity for small farms to thrive. It’s a tough grind." Since 1982, the U.S. has lost 41 million acres of rural land like the Tuttle farm, now surrounded by development near the coast of the Atlantic Ocean. Ann Curry of NBC News spent nine months working on her story for "Dateline" about how the recession was affecting Appalachian Ohio, which locals say was a mostly tasteful account of the region's problems. 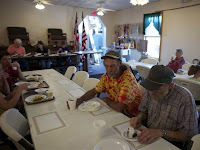 But all the reaction to "Friends and Neighbors" hasn't been positive, judging from a rash of negative online comments, reports Libby Cunningham of The Athens News of Athens County, where much of the program was filmed. As of this posting the NBC online transcript of the show had drawn more than 700 comments. A Huffington Post story in preview of the documentary had garnered more than 1,200. "Online posts from users such as 'ratsplat' seemed to echo the complaints of many viewers of the hour-long documentary," Cunningham writes. "Many criticized some of the featured poor for being overweight, wearing jewelry, having babies out of wedlock and doing things such as smoking cigarettes and drinking soda pop." In one comment, representative of many others, "Ratsplat" wrote, "The story was trying to convince us that these people are suffering, but we see smoking cigs, fake nails, gold chains, irresponsible teens living off the system by using their children as food stamps, dirty children (how hard is it to wipe a face clean), kids playing with pistols, etc." The show was a "was a heartbreaking hour of television for Ohioans," Connie Schultz of The Plain Dealer in Cleveland writes. "It was like opening your personal diary to the saddest parts, and letting the whole world read." While the show was rough viewing for locals, Schultz concludes it was "an oasis in the increasingly parched land of social justice reporting. Curry dug deep in one corner of Ohio to tell the story of hunger and poverty across America, and never traded Ohio Appalachians' dignity for drama." "They asked the right questions," Jack Frech of the Department of Job and Family Services in Athens County told Schultz. "The question isn't, 'Why are all those people standing in line at a food pantry?' The question is, 'Why aren't federal and state programs providing enough assistance?' And where's the outrage over policies that bail out banks and people at the top, but won't help the millions of people who fall under the poverty line?" (Read more) A webcast of the show is here. Rural-school advocates are campaigning against the federal funding equation that gives added weight to districts based on the raw number of impoverished students regardless of their percentage in a district's population, and now they have added a racial element. Of the so-called "Rural 900" school districts, those with the highest student poverty rates that lose the most by the "number weighting" system, 93 are led by black superintendents, Marty Strange writes for the Formula Fairness Campaign website. A Southern Kentucky entrepreneur is being recognized for making concrete from recycled materials and will have a chance to showcase his product at the World Equestrian Games in Lexington this fall. Steve Pfoff, owner and founder of Monumental Builders in Jamestown, is building a horse barn at the Kentucky Horse Park, which will host the games, Derek Aaron of The Times Journal of Russell Springs reports. The barn will be constructed from Pfoff's patented "cultured stone" concrete block system, which uses 90 percent recycled material. Earlier this week Pfoff's system was awarded a $1,000 prize, based on a one-page outline of the idea and business model, from the Kentucky Highlands Investment Corporation's Big Idea Competition. Pfoff will move onto the second phase of judging where he will be eligible for an additional $2,500. If he makes it to the third phase, Pfoff could win as much as $10,000 and 12 months of free rent in the Kentucky Highlands Business Innovation and Growth Center. "Literally what we can do is go in, crush an existing building down grind it up and put all the materials from that building back into the stone and rebuild a building in place of it," he said. "The buildings have a shelf life of hundreds of years," Pfoff told Aaron. "We went to the landfill owners and took some state people and told them that we've got a product that can stop a lot of the landfill fills." The Obama administration has apologized for demanding Sherrod's resignation before knowing the full contents of her speech at an NAACP meeting, and has offered her a top civil-rights job in the Agriculture Department, or her old job back. She said she is far from deciding what to do, and noted that the written offer for the new job "says 'draft.' I need to ask them, what does that mean?" She also said she isn't sure the unit she would head even has a budget. But later she said she is very concerned about the declining number of black farmers, and wants to talk with Agriculture Secretary Tom Vilsack, who she said needs more African Americans around him. "If he's truly interested in dealing with discrimination in his agency, then there are a lot of things that need to happen," she said. "I don't know if it can be done within the department." In reponse to a question from the audience, Sherrod said she has not heard from Cheryl Cook, the deputy undersecretary who demanded her resignation, but would like to. "There are quite a few issues I would like to talk to her about," she said. Cook, who is from Pennsylvania, is white. In response to questions from the panel, Sherrod said President Obama needs a lesson in the history of the civil rights movement, in which she and her husband were involved. She noted that she has invited him to visit her native Southern Georgia. "I need to have him down there so I can take him around and show him some of that history," she said. Near the beginning of the session panelist Don Lemon of CNN played video of his story on what he called "a picture of racial unity," Sherrod's reunion with the elderly white farmers whose farm she helped save, after first not making a full effort at a nonprofit where she worked 24 years ago. The author of legislation that would require natural-gas companies to disclose hydraulic-fracturing fluids says she feels betrayed by industry groups that have spoken out against the requirement's inclusion in the Senate Energy bill. "A lot of these companies want to say publicly 'We support disclosure.' But then they try to kill it behind the scenes," Democratic Rep. Diana DeGette of Colorado told Mike Sorghan of Environment & Energy Daily. "This is something that is going to happen. I wish industry would work with us instead of talking out of both sides of their mouths." "America's Natural Gas Alliance, which lobbies for some of the larger independent drilling companies, released a statement Tuesday opposing the disclosure provision, citing concerns that the program would be overseen by U.S. EPA, and saying fracturing should be regulated at the state level," Sorghan writes. DeGette was most angered by the opposition of the measure from Range Resources Corp., which has been out front among drillers on the disclosure issue. "We support disclosure, which is why we've implemented our voluntary disclosure initiative," Matt Pitzarella, spokesman for Range, a major player in Pennsylvania's shale boom, told Sorghan. "However, we believe that should be the decision and duty of the individual states, not the federal government." The vast majority of U.S. farms, almost 98 percent in 2007, are family-run operations, according to a new study released by the U.S. Department of Agriculture's Economic Research Service. Even most of the large operations, which account for 12 percent of farms but 84 percent of production value, are family-owned, authors Robert A. Hoppe and David E. Baker report in ERS's Family Farm Report, 2010 Edition. Non-family operated farms, those where the majority of business is not owned by the operator or those related to the operator, accounted for only 2.4 percent of U.S. farms but 17.7 percent of total production value. Construction of wind farms has dropped dramatically this year, and industry officials say it will continue to do so if Congress doesn't enact a federal renewable energy standard to require a certain amount of U.S. electricity to come form renewable sources and "reassure investors that there will be a market for additional wind power, Phillip Brasher of the Des Moines Register reports. Data from the American Wind Industry Association shows "construction of wind farms has fallen 71 percent nationwide this year and has disappeared from Iowa," Brasher writes. In June voters in Fremont, Neb., passed a controversial ordinance that would ban businesses from hiring illegal immigrants and landlords from renting to them, but now the town has put the law on hold in anticipation of a long legal battle. City "Council President Scott Getzschman said the decision does not mean the council is disregarding the results of the June 21 public vote to ban the housing and hiring of illegal immigrants in the city," Cindy Gonzalez of the Omaha World-Herald reports. "Rather, he said, the council is anticipating a court order to temporarily block enforcement of the law anyway. He said suspending the ordinance could hold down legal fees." Illinois has enacted what appears to be the nation's first law requiring newspapers that accept legal notices to upload the notices to a statewide website collectively owned by the newspapers. The law adopts the strategy that newspapers across the country have been using for years to keep state legislatures and local governments from dropping paid legal advertising in papers in favor of unpaid notices online. The bill passed unanimously and was sponsored by the Illinois Press Association, which sponsors PublicNoticeIllinois.com, to which about 80 percent of the state's newspapers already upload legal ads. Taxpayers are able to search it for public notices by keyword, by newspaper and by county, IPA reports. In Iowa, all of the public notices published in newspapers are posted at iowanotices.org, according to the Iowa Newspaper Association Bulletin, which reported on the Illinois bill today. Under relaxed law, coal firms plan campaign to defeat 'anti-coal' Democrats in Ky. and W.Va.
Coal companies are planning to take advantage of looser campaign-finance laws in an effort to defeat Democrats and elect Republicans to the House and Senate, John Cheves reports for the Lexington Herald-Leader. 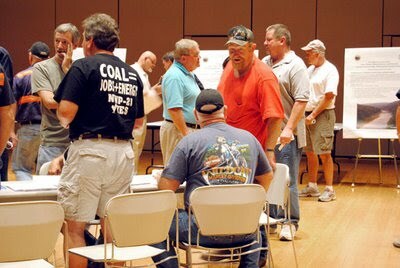 Cheves' story mentions three targets in Kentucky and West Virginia; the industry in the Appalachian coalfield probably faces the greatest challenges from environmental and safety rules being pushed by Democrats, but the internal industry letter on which his story is based could have been targeted to companies in the region and might be part of a broader industry effort. The Democratic incumbents targeted in the letter are Reps. Nick Joe Rahall of southern West Virginia and Ben Chandler of Kentucky, whose Bluegrass district has no coal but has voters and campaign contributors who earn money from the industry. Rahall is opposed by Elliott "Spike" Maynard and Chandler is opposed by Garland "Andy" Barr. The Senate race mentioned in the letter, from an International Coal Group executive, is the high-profile Kentucky contest between Republican Rand Paul and Democrat Jack Conway, the state's attorney general. Besides ICG, the letter identifies Massey Energy, Alliance Resource Partners and Natural Resource Partners as participants in the effort. Industries of all kinds are more able to play freely in politics, under a U.S. Supreme Court decision this year that threw out as unconstitutional much of the 103-year-old statutory system that limited the contributions of corporations and unions. It expanded the potential of "527 groups" that operate under Section 527 of the Internal Revenue Code, which applies to a type of political organization. “A number of coal industry representatives recently have been considering developing a 527 entity with the purpose of attempting to defeat anti-coal incumbents in select races, as well as elect pro-coal candidates running for certain open seats,” Roger Nicholson, ICG's senior vice president and general counsel, wrote in the letter. Under Section 527, groups do not have to report their income and expenses until after the election. A Democratic bill to force disclosure of that information failed yesterday to get the 60 votes needed to overcome a Republican filibuster in the Senate, "virtually ensuring an onslaught of attack ads during this year's midterm election season," Dan Eggen of The Washington Post reports. "We didn't want this to become a riot," John Craynon, chief of the regulatory division of the federal Office of Surface Mining Reclamation and Enforcement, told AP. "Some of the previous meetings have turned into quite rowdy events, where folks on all sides of the issue felt threatened or intimidated. We wanted to set up an environment where we could actually hear from the people." AP adds, "Craynon said this series of meetings, which began last week and includes stops in West Virginia and elsewhere this week, were the first he knew of in which the agency opted for a walk-in open house rather than a full-blown public meeting." OxyContin abuse has been prevalent in rural Appalachia for many years, but now that trend is catching on elsewhere in the country, especially among youth, even after years of hearing messages to "just say no" to drugs. "Across the country, it has become a party drug favored by young, often middle-class people, and the trend is exploding in Northern California," which has many rural areas known for growing marijunaa, Cynthia Hubert of the Sacramento Bee reports. "This is a generation of kids that said 'no' to marijuana and heroin," Jin Tanaka, a special agent in Sacramento with the Bureau of Narcotic Enforcement in the California Department of Justice, told Hubert. "We didn't teach them about prescription medications like OxyContin. They think it's OK because a doctor can prescribe it. Then they become addicts." Udi Barkai, president and chief executive officer for Aegis Treatment Centers, which operates 24 clinics in California, told Hubert patients under 28 are the fastest growing population he sees related to prescription drug abuse. Just six percent of the 5,000 patients treated at Aegis clinics in 2006 were under 28, but through the first six months of 2010 the clinics have already treated 54 addicts in that age group, almost half of all patients seen. "People who used to shoot heroin 20 years ago are dying off," Barkai told Hubert, and being replaced by oxy addicts. "It has a softer look," he said. "It doesn't have the stigma because they don't have to shoot it into their veins." Senate Democrats' energy bill would require oil and gas drillers to disclose to state regulators the chemical ingredients" used in the fluids that they inject into deep, tight rock formations to release natural gas, Katie Howell and Alex Kaplun of Environment & Energy News report. Any proprietary formulas would not have to be disclosed, except medical emergencies. States or companies would have to post the hydraulic fracturing ("fracking") information online. Meanwhile, renewable-energy lobbies are disappointed at being left out of the modest bill that Senate Democratic Leader Harry Reid introduced this week after failing to find 60 votes to break a promised Republican filibuster on a broader climate-and-energy measure. "Wind and solar power advocates expressed disappointment with the lack of a Renewable Energy Standard," reports Sara Wyant in her weekly Agri-Pulse newsletter, published this morning. "Also missing is language to increase consumer demand for biofuels. Jeff Broin, CEO of Poet, the world’s largest ethanol producer, said Senate leadership missed an opportunity to significantly lessen America’s dependence on foreign oil." The push has resumed to reauthorize 10-year-old legislation that sends millions of dollars to rural schools to replace federal timber revenue lost back then because of tighter regulations, including those protecting birds such as the spotted owl. A letter from 29 senators and 69 House members urging President Obama to include funding for the program in his 2012 budget. If the Secure Rural Schools and Community Self-Determination Act is allowed to expire as scheduled in September 2011, lawmakers say it will taking money and jobs from rural communities already strapped by the economy, Mary Schulken of Education Week reports on the Rural Education blog. As the meat industry tries to delay new U.S. Department of Agriculture rules designed to curb anti-competitive practices that hurt producers, hoping a more Republican Congress will be elected Nov. 2, its allies in Congress are raising a bipartisan cacophony of objections. "The fight over these regulations is an earthquake in agriculture and in much of rural America. The fight is over who will have the power to shape the relationship between farmers and ranchers and meat producers — and this will shape the economic and social future of many communities in rural America," Bill Bishop writes for the Daily Yonder. "The scene at the House Agriculture Subcommittee on Livestock, Dairy and Poultry hearing Tuesday was brutal, as one member of Congress after another labeled the regulations as 'silly,' a 'serious mistake,' 'offensive' and a 'clear violation' of what legislators intended" when they directed USDA to write such rules, Bishop reports. "After this week’s lambasting, it seems likely that USDA will grant additional time for comments" on the rules, as the meatpacking lobbies have requested. Bishop's story has good background and links on the issue; read it here. The National Pork Producers Council and National Cattlemen's Beef Association have filed formal requests for the Grain Inspection, Packers and Stockyards Administration to triple the usual 60-day comment period. The requests from "Big Pork and Big Beef" for delays show how little the groups carry about producers, agricultural journalist Alan Guebert opines in his syndicated Food and Farm File column. "If new rules are not forthcoming to limit the massive market-moving capabilities of massive meatpackers, open and transparent markets will vanish, as they have in poultry markets, and production, like in poultry, will be by invitation -- contract -- only," Guebert predicts. "That's what NPPC and NCBA advocate when each parrots the packers' call to delay the GIPSA rule comment period in hopes of killing it." Guebert argues that the extended comment period, called for by the industry groups, only serves to give them more time to undermine GIPSA's new administrator and elect "a more packer-friendly Congress" on Nov. 2. "Amid predictions of continuing migration from Appalachia by its young people, a new educational program is teaching elementary and middle school students in Appalachian Kentucky the entrepreneurial skills that can prepare them for a future in the region, creating jobs for themselves and others," reports Jon Hale of the Institute for Rural Journalism and Community Issues. The E-Discovery Challenge includes instruction in economics, mathematics and other essential business skills, but they say their biggest lesson was the value of working together and trading ideas with others as they used small seed grants to develop a product and offer it for sale. “I learned you have to trust your teammates and work with them to do the job,” Morgan County student Josh Adkins, whose team made T-shirts, told Hale, a native of the region. Merging the blessings of technology with small-town culture is key to the revitalization of rural America, one commentator writes. "To put it bluntly: culture eats technology on any day of the week," Sylvia Lovely, former executive director of the Kentucky League of Cities, writes for NewGeography. Lovely outlines a variety of examples where culture has trumped investment in technology, but outlines five elements to finding the proper blend between combining "the technology that will lift up economic prosperity and build wealth and while understanding better the role of local culture in creating the resilient rural communities of the future." Lovely terms her recommendations the five Ps: perspective, people, place, preservation and prosperity. 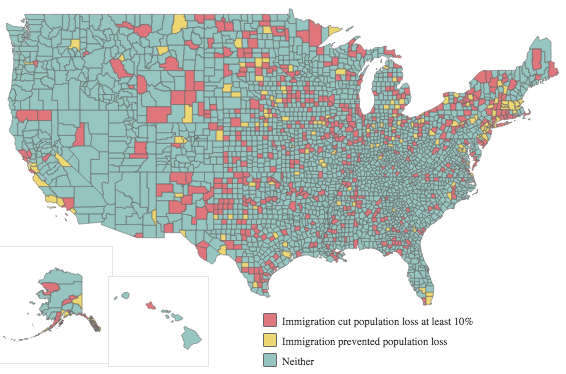 Rural America needs "perspective and hard-nosed research to know where you stand: who is coming to or staying in your community or region," Lovely writes. It also needs "investment in people and their education, health and other documented needs, recognition and promotion of place, preservation of what is dear in our culture, and finally putting all that together with technology that can bring economic prosperity not only in dollars but in quality of life." Worried that the Environmental Protection Agency will crackdown on dusty farms, 21 senators from farm-heavy states have asked EPA not to tighten federal standards for coarse particulate matter. In a letter the senators said that if EPA follows through on a scientific advisory panel's recommendation to impose tougher standards farmers would face "the most stringent and unparalleled regulation of dust in our nation's history," Gabriel Nelson of Environment & Energy Daily reports. "The dust kicked up by agricultural operations is subject to the same air-quality rules as particulates from automotive tailpipes and coal-burning power plants," Nelson writes. 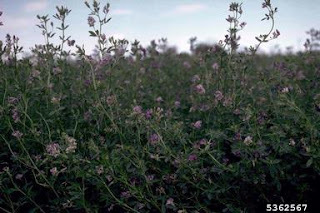 "Critics question whether alfalfa could ever be an economical fuel crop for many farmers," Brasher writes. However, alfalfa can, like soybeans, replenish nitrogen that corn takes from the soil, which would allow farmers to use less fertilizer, reducing runoff into streams. "Alfalfa also could provide soil protection, limiting erosion, because the crop would be left in the ground for a couple of years before the field is replanted to corn." The type of alfalfa used for ethanol production would be a super-sized variety of the crop now planted on 21 million acres nationwide. "The leaves would be sold for cattle feed," Brasher writes. "The stems would be processed into a feedstock for next-generation ethanol plants." Much has been made of the "brain drain" taking rural America's best students to cities, but one Eastern Kentucky man is hoping to reverse that trend by returning home with a proposal to help reclaim strip-mined land. When Nathan Hall of Allen, Ky., population 150, turned 18, he moved to Wisconsin but after several years away he "felt a growing need to re-connect with his home region," Elizabeth Lynch writes for the Daily Yonder. This summer he's using money from his Watson Fellowship to travel around the world to communities that, like his home Floyd County, "have relied on a single industry as well as communities that are working on land-recovery efforts," Lynch writes. Hall was awakened to strip-mine issues while working with the Mountain Justice Summer camp, an anti-mountaintop-removal group comprised mostly of non-Appalachians. His experience "crystallized my intentions and my approach to the work I would do," he told Lynch. "Through my time in Louisville and with Mountain Justice Summer I had a 180˚ on my perspective on this region. This part of the country and the world needs positive work more than just about anywhere." Hall planned to work in a coal mine for several years to gain better insight into the industry, but left after a few months, following safety concerns from his family, in favor of attending Berea College. Barnes campaign manager Chris Carpenter acknowledged the similarities between Barnes' current campaign and that of Perdue, who is term-limited this time. "Roy Barnes told me about six months ago that if he wins this election he’ll have to win it south of Macon," Bobby Rowan, a former state senator and former member of the Public Service Commission, told Galloway. Rowan, who lives in Enigma, population about 870, said those who think the Republican have a stranglehold on rural Georgia are incorrect. "We frankly don’t care anymore," he told Galloway. "Partisan politics has passed us. 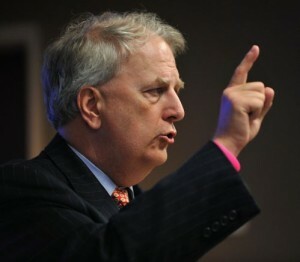 Now, I wouldn’t be surprised if Roy Barnes could roll up a 60 to 70 percent win in our county." "Margins of that size, reached in multiple rural counties, could offset balloting from the Republican-dominated counties of metro Atlanta," Galloway writes. "A heavy turnout for Barnes in rural Georgia would essentially crack the super-majority of white voters required for statewide GOP victories." Rowan says the economy has labeled the playing field for Barnes after the 2002 flag controversy. "This whole election, it ain’t about a $3 tag, it ain’t about a chicken in every pot," he told Galloway. "It’s about a job for every man that’ll work. That’s the issue." Former Secretary of State Karen Handel and former Congressman Nathan Deal are in a runoff election for the Republican nomination. If the U.S. Postal Service follows through on its plan to end Saturday mail delivery, rural Americans may be among those hurt the most by the decision. The end to Saturday mail could be particularly painful for "rural customers who live far from post offices and depend on letter carriers for government checks, prescription medicines and parts for farming equipment," Ledyard King of Gannett Co.'s Washington, D.C., bureau reports. While post offices would remain open on Saturdays, for access to mailboxes, that may be "little solace to residents, especially the elderly, who live in remote areas underserved by the Internet," King writes. "The very principle of the Postal Service is to give universal service to everybody. If they don’t do it, the people will lose that benefit in the rural areas," Paul Katzer, a letter carrier from Montrose, S.D., who serves 276 customers on his 130-mile route, told King. "The New York Citys, the Chicagos, if there’s a need for delivery service, there’s a company that will do it in those areas, but not out here. Rural America will be hurt by this." Groups that rely heavily on six-day service, including weekly newspapers and prescription mail-order companies, are protesting the proposal, but officials say the other "alternative is a significant across-the-board increase in postal rates and that would anger other users," King writes. A new publication from the Rural Policy Research Institute and the University of Iowa hopes to explain for rural-healh advocates the 900-plus page health care-reform legislation's effects on rural Americans. The publication, titled "The Patient Protection and Affordable Care Act: A Summary of Provisions Important to Rural Health Care Delivery," was authored by Keith Mueller, director of RUPRI's Center for Rural Health Policy Analysis and head of the university's Department of Health Management and Policy, the North Liberty Leader reports. The summary can be accessed at http://cph.uiowa.edu/rupri. 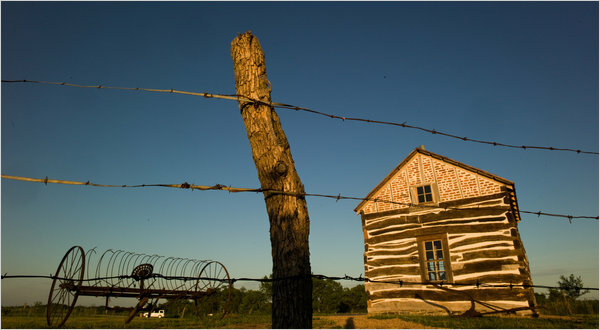 The Homestead Act of 1862 was the federal government's vehicle for populating the West. Now towns across the country are re-examining similar strategies as a possible method for increasing tax revenue. Beatrice, Neb., home to the first federally recognized homestead in 1862, passed the "Homestead Act of 2010" in part to replenish its city coffers, Monica Davey of The New York Times reports. "The calculus is simple, if counterintuitive: hand out city land now to ensure property tax revenues in the future," Davey writes. Tobias J. Tempelmeyer, the city attorney, quipped, "There are only so many ball fields a place can build." "Around the nation, cities and towns facing grim budget circumstances are grasping at unlikely — some would say desperate — means to bolster their shrunken tax bases," Davey writes. "Like Beatrice, places like Dayton, Ohio, and Grafton, Ill., are giving away land for nominal fees or for nothing in the hope that it will boost the tax rolls and cut the lawn-mowing bills." Despite recent signs of an economic recovery, municipalities may not emerge from the recession for several years because of slumping revenues from property taxes and sales taxes and reduced support from state governments. These areas are looking to other alternatives to raise money, including a controversial proposal in Manchester, N.H., and Concord, Mass., to re-examine the tax-exempt status of local non-profit organizations. As estimated gang membership passes the 1 million mark nationally, gangs are no longer solely an urban phenomenon. "Gang members are fanning out from cities, looking for fresh recruits and new markets to sell drugs and guns," Raju Chebium of Gannett Co.'s Washington bureau reports. "Some flee to rural areas to hide from the police or other gangs." The Justice Department’s 2009 National Gang Threat Assessment reveals by 58 percent of all law enforcement agencies reported gang activity in their jurisdictions in 2008, up from 45 percent in 2004. "We have seen gangs that were centered in one city become national," Attorney General Eric Holder told the Senate Judiciary Committee in April. "We in law enforcement have to adapt to that and break old models, old ways of thinking. Gangs are not simply an urban phenomena any more." Ralph Weisheit, a criminal justice professor at Illinois State University, told Chebium that small-town gangs tend to be less violent than their urban counterparts and gang-related murders are rare in these groups. 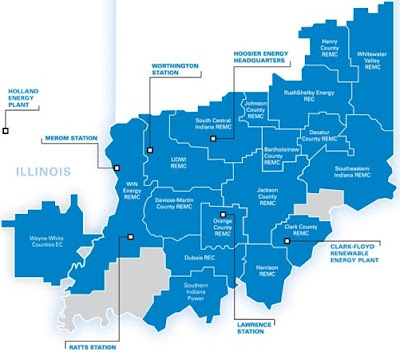 A Southern Indiana rural electric cooperative has agreed to install state-of-the-art pollution control technology at its two coal-fired power plants as part of a settlement with the Justice Department and the Environmental Protection Agency. The settlement calls for Hoosier Energy Rural Electric Cooperative to pay a civil penalty of $950,000 and spend $5 million on environmental mitigation projects to address the impacts of past emissions, according to a press release. The settlement also requires Hoosier to reduce sulfur dioxide emissions by almost 20,000 tons per year and nitrogen oxide emissions by more than 1,800 tons at its Merom and Ratts plants. The co-op serves about 290,000 customers through 18 member cooperatives, one of them in southwestern Illinois. We rarely take major note of opinion columns, but when they make assertions of fact that ring true and at least offer a fresh perspective, as Maureen Dowd does about the White House and race in The New York Times today, we make an exception. 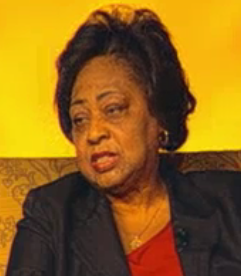 The issue is the Obama admimistration's summary ouster of Shirley Sherrod from her job as the Department of Agriculture's Rural Developent director for Georgia, and Dowd's best source appears to be Rep. James Clyburn, the No. 3 Democrat in the House and, for our money, one of the most solid people in Congress. Clyburn represents most of rural lowland South Carolina (NationalAtlas.gov map). Dowd notes that Obama was "raised in the Hawaiian hood and Indonesia," and writes, "Unlike Bill Clinton, who never needed help fathoming Southern black culture, Obama lacks advisers who are descended from the central African-American experience. . . . The West Wing white guys who pushed to ditch Shirley Sherrod before Glenn Beck could pounce not only didn’t bother to Google, they weren’t familiar enough with civil rights history to recognize the name Sherrod. And they didn’t return the calls and e-mail of prominent blacks who tried to alert them that something was wrong. Charles Sherrod, Shirley’s husband, was a Freedom Rider who ... was a key member of the Student Nonviolent Coordinating Committee." The variety is burley, which is the main type of tobacco grown in Kentucky, Tennessee and some other states. "Because of its harsh characteristics, burley requires the use of flavorings and processing ingredients as it is blended with other tobaccos," Carroll notes. But cigarettes could contain nothing but tobacco, under regulations that the World Health Organization is developing under an international tobacco treaty that the U.S. has signed but not ratified. 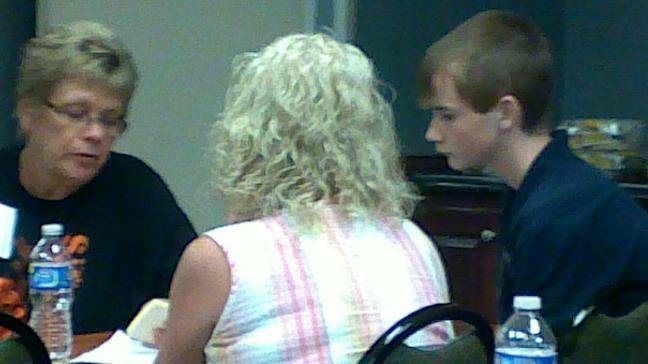 The regulations are on the agenda for a November meeting. Nearly three-fourths of U.S. burley is exported, but the proposed regulations would effctively ban its export, U.S. Rep. Ed Whitfield of Kentucky's 1st District told Carroll. He and all but one other member of the state's congressional delegation (Rep. John Yarmuith, D-Louisville) are fighting the proposal. Kentucky is the nation's leading producer of burley, generating $274 million last year for 5,000 to 10,000 farmers.